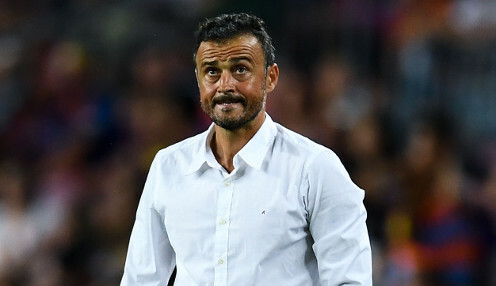 New Spain boss Luis Enrique is calling for evolution rather than revolution after being unveiled as national team boss. The former Barcelona head coach insists the current squad are owed a debt of gratitude by Spain supporters, though he concedes recent results 'haven't been good'. Following the news that Julen Lopetegui was leaving for Real Madrid, Spain sacked their manager on the eve of World Cup 2018 in Russia, with Fernando Hierro taking temporary charge as they were eliminated by the hosts on penalties in the last-16. I'm not a fan of the word failure, but the results haven't been good. Euro 2020 is the first big target for the new boss and Enrique is convinced they can return to the recent glory days when they claimed back-to-back European Championship titles in 2008 and 2012, either side of a 2010 World Cup win in South Africa. Spain are 11/2 to win Euro 2020 and the new manager is keen not to go for sweeping changes. "I'm not a fan of the word failure, but the results haven't been good. But we owe these players a lot," he told a press conference. "There won't be a revolution but an evolution. There are players coming through who we need to give confidence and we have to be as fair as possible to everyone. "The line that separates success from failure is very fine and they did an excellent job." World Cup 2018 winners France are 10/3 to win the European Championships in two years, while beaten finalists Croatia are 25/1.